Here's a great one-pot dish that comes together quickly and feeds a crowd. I had a house full of hungry kids and I needed something to satisfy them fast. 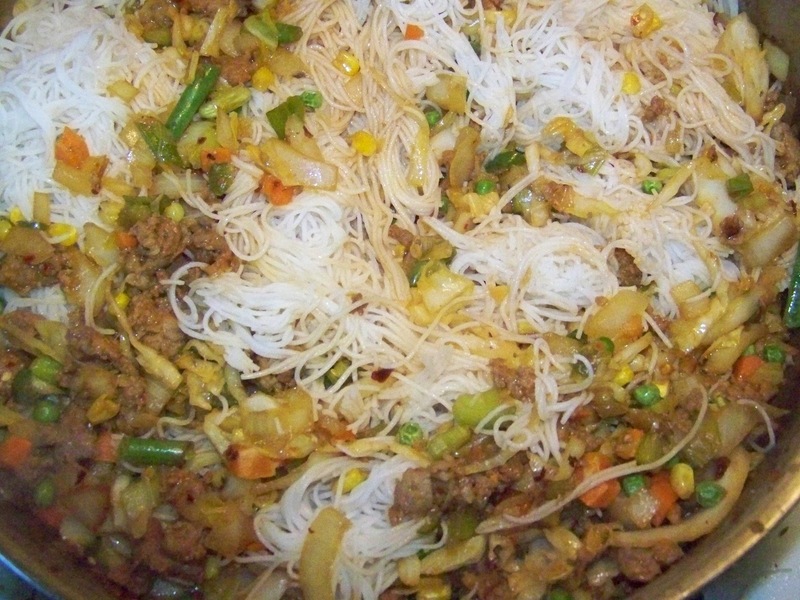 I found a packet of rice stick noodles in my pantry and decided a quick noodle dish with some sausage and vegetables would be a nice lunch. These noodles were a big hit with the kids (although my picky eater pulled out some of the veggies). When my husband came home he requested the leftovers for dinner and really enjoyed them too. If you have never worked with rice stick noodles I say give them a try. They cook up very easily in minutes and provide a wonderful option for gluten free meals. Note: You can scramble a couple of eggs and add at the end of cooking if you like. 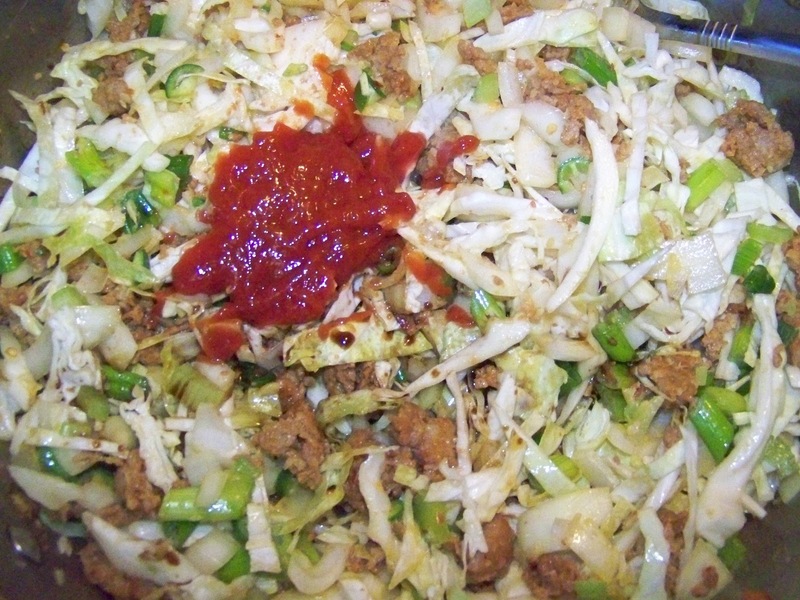 In the same pan that you cooked the noodles, brown the lean meat or sausage. 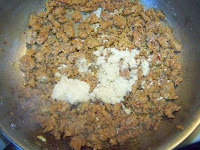 Once meat starts to brown, add the ginger and garlic and cook for another minute. Then add red chili flakes and all the vegetables. 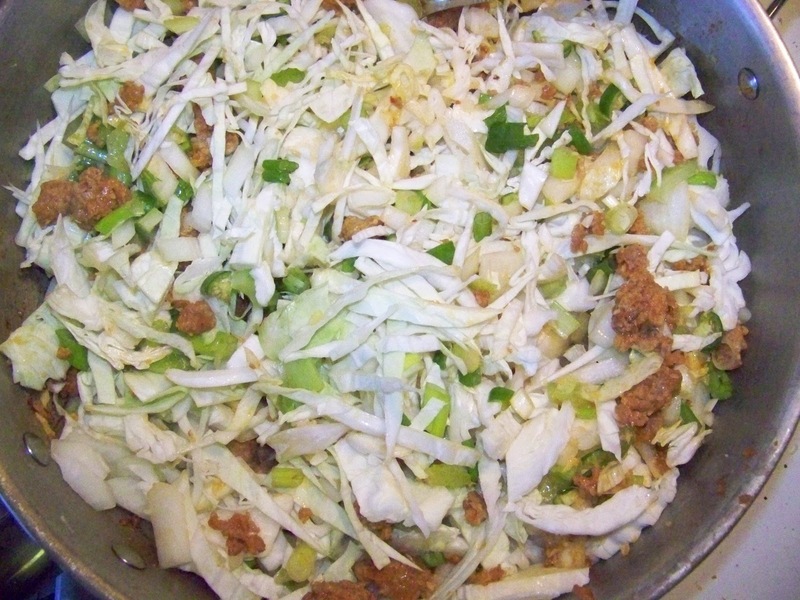 Cook vegetables until the cabbage becomes tender then add the ketchup, vinegar and soy sauce. Allow all ingredients to cook down and taste for seasoning. Finally add the cooked noodles and toss with the other ingredients. Mix well and serve. Enjoy. What a tasty way of having protein, carbs and vegetables, all in just one bite. 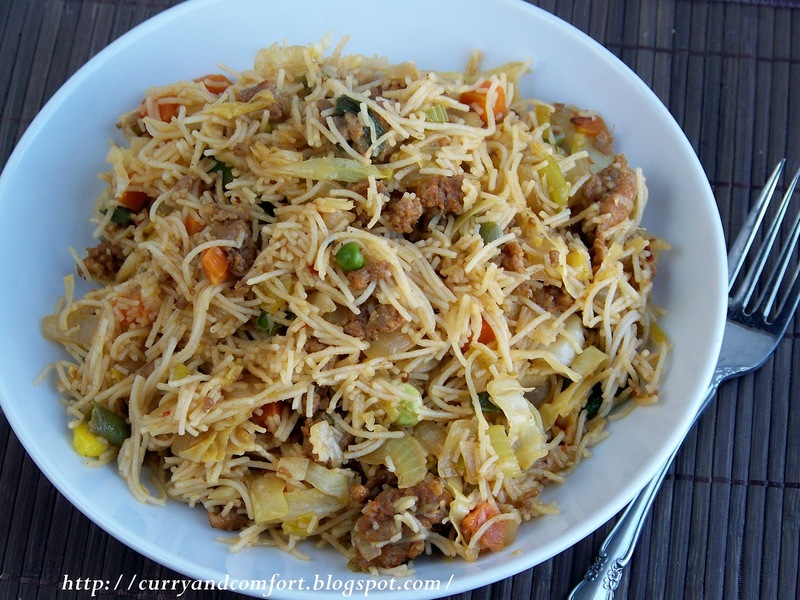 Children love noodles and my daughter would enjoy this dish. Makes me hungry,super inviting dish..
Yum, this looks delicious! Have a great Easter weekend! Looks great! 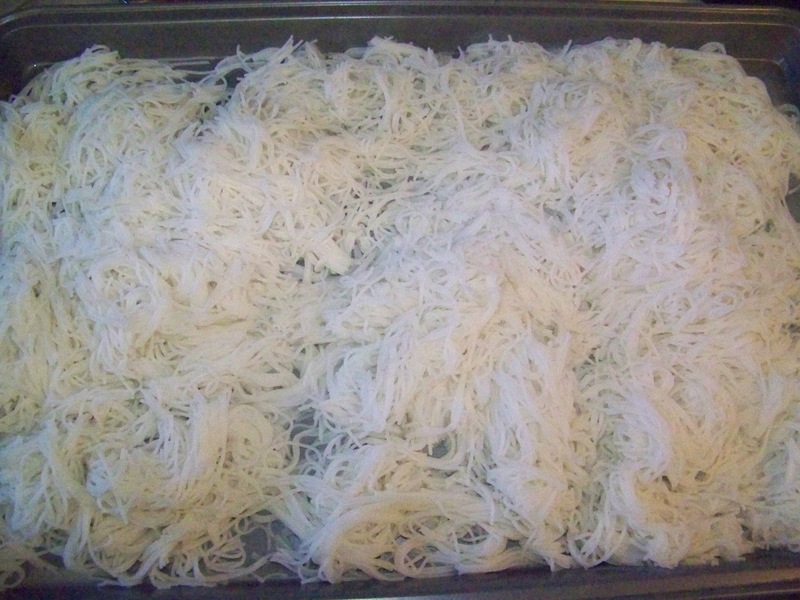 Rice sticks are a staple in this gluten free house! Well done! 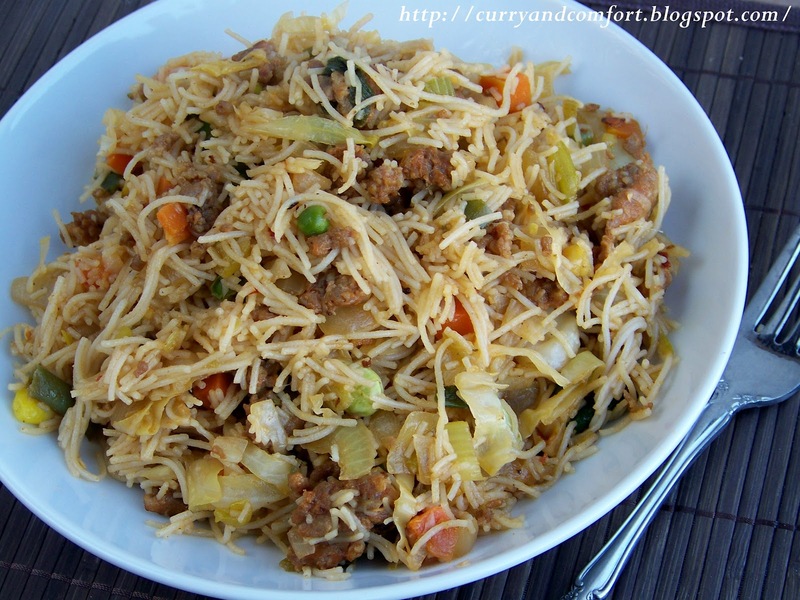 We love fried rice noodles. Yours look very tasty with all the meats and veges. Hi sorry to be so dumb but what do you mean by scramble some eggs at the end ? do I just add the eggs and cook or should I scramble them first ?